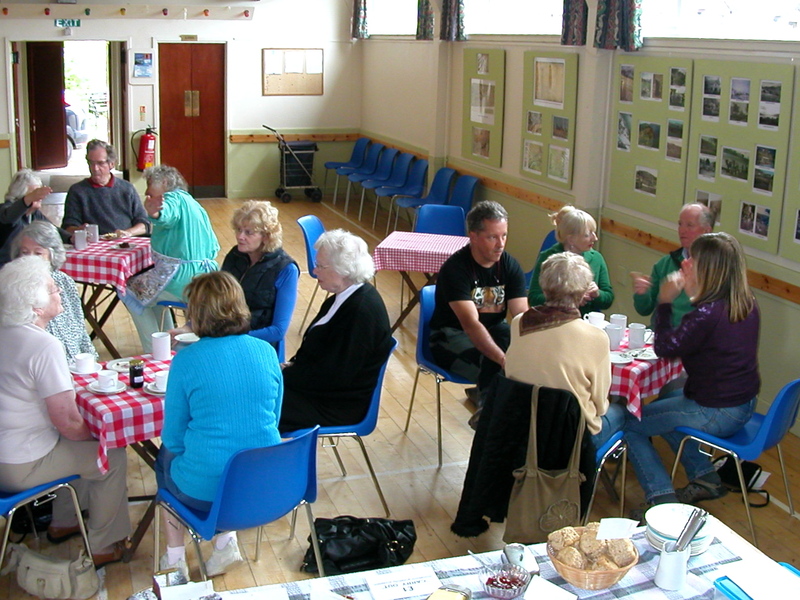 Tuesday’s coffee morning was a lively affair with another record turnout. People have learned to come hungry and/or have a take out – which was evidenced by the tiny amount of food left at the end! There was Sue’s homemade blackcurrant jam on sale, as well as some jars of marmalade kindly donated by ladies from Glen Lyon. 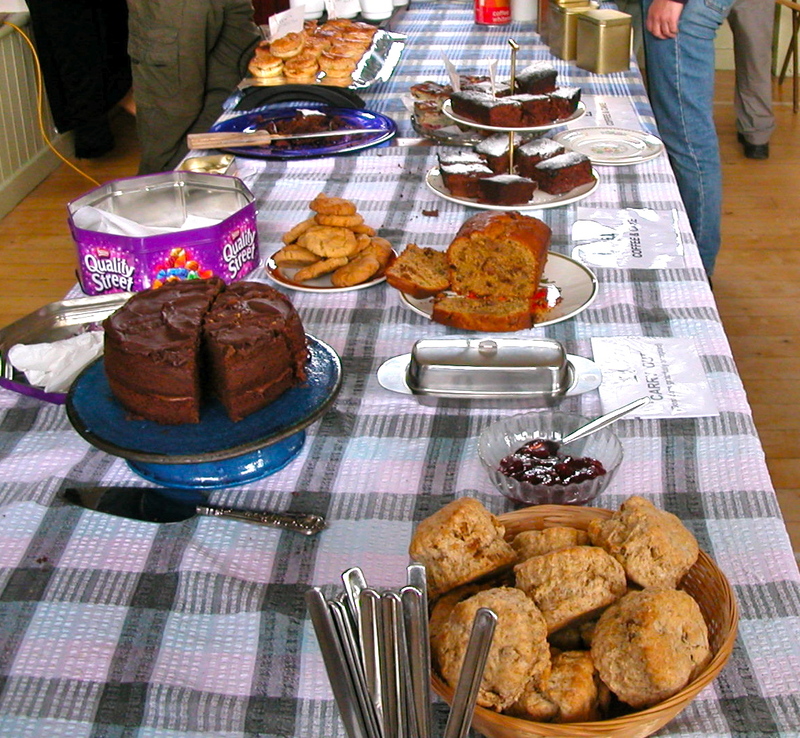 Thanks also to Jane from the Big Shed who arrived with spiced cookies to add to the spread (dee-lish-ush!). In the absence of Fraser, we have Peter McKenzie and Laurie to thank for doing all the washing up! Don’t forget, there is no coffee morning in August, but we do have the BBQ and the judging of the photos for the Fearnan Calendar. Next Coffee Morning is on Tuesday 20th September. 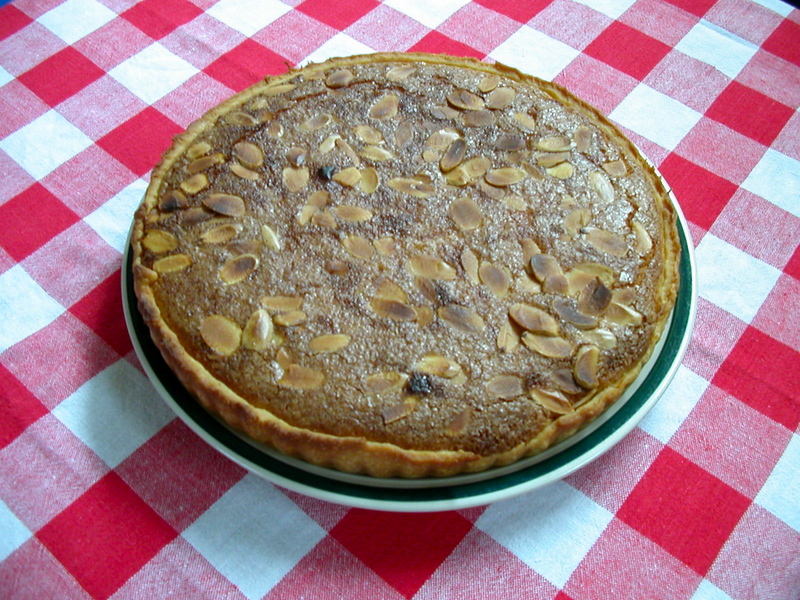 This makes a delicious tart and, although it contains only almond essence, it tastes very almondy. If you prefer, make the mixture in small individual tarts but this will, of course, take longer. Serves 8. Making time – about 30 minutes. Baking time – about 35 minutes. Ideally rest the pastry, wrapped in cling film, in the fridge for 30 mins. Alternatively, buy a pack of ready-made shortcrust pastry! Even easier and quicker. Heat the oven to 400°F/ 200°C / gas 6 and put a baking sheet in the oven on the shelf just above the centre. Roll out the pastry on a floured board and use to line an 8″ to 9″ flan tin. Prick the base well. To make the filling: Melt the butter in a pan and add the sugar, ground rice or semolina and almond essence and egg. Spread the base of the flan with jam and then pour the filling over. Sprinkle the top with flaked almonds. Bake in the oven for about 30 minutes, until the pastry is pale golden brown at the edges and the filling golden brown, too. Remove from the oven and leave to cool in the flan tin.